Jennifer Gootman is the Vice President of Social Consciousness and Innovation at West Elm where she oversees the brand’s commitments to local and global makers, supply chain transparency and sustainability. 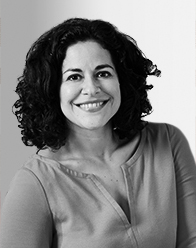 Jennifer also serves as the VP of Corporate Social Responsibility for West Elm’s parent, Williams Sonoma, Inc., leading social labor compliance programming across the company’s eight brands. She’s a recent Aspen Institute First Movers fellow and an advisor to NYU's Stern Center for Sustainable Business.